Here is another recipe, and this one is very quick! 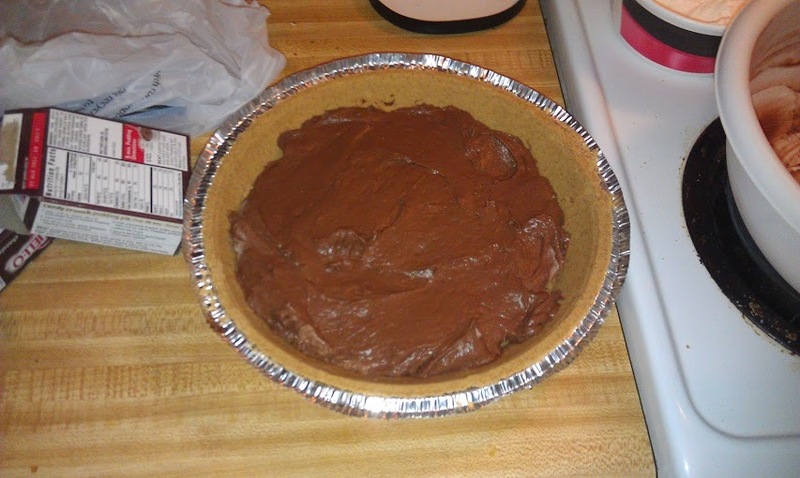 Who likes chocolate pie, I do! And if you don’t want to spend hours making a chocolate pie, I have got a solution for you! This recipe only takes five minutes to make, really it’s that quick! Here’s what you need! 1. 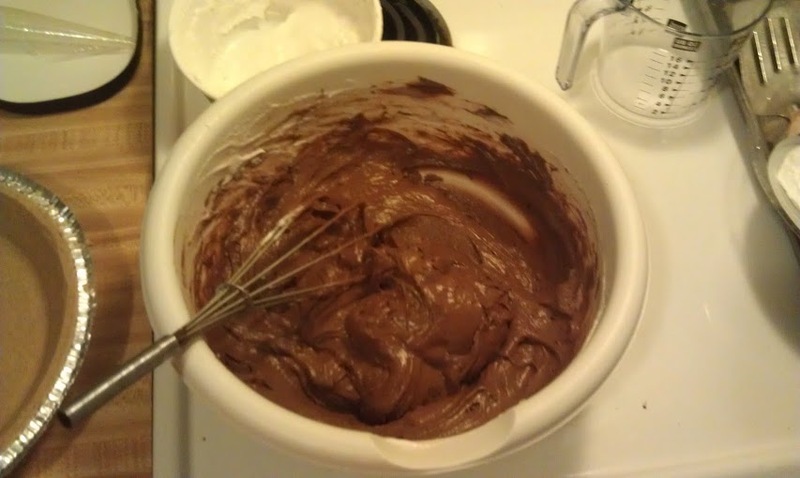 Combine the instant pudding and milk in a bowl. Mix for one minute. 2. 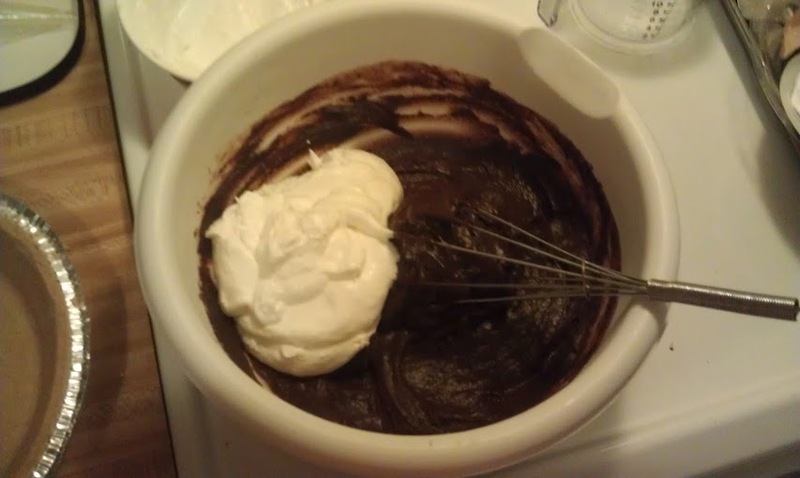 Add half of whipped cream. Mix together. 3. 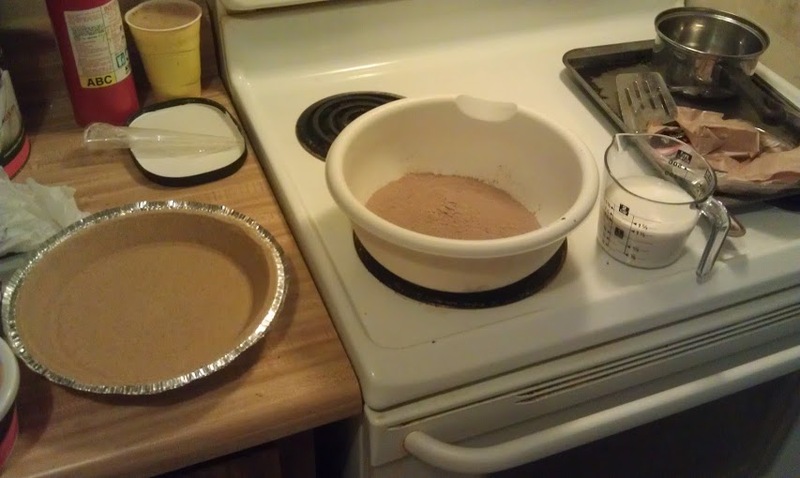 Pour mixture into the graham cracker pie crust. 4. 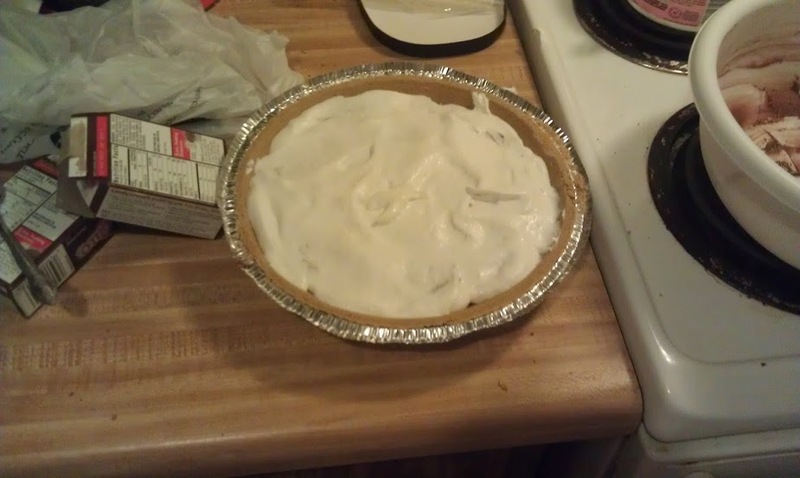 Spread remaining whipped topping on top of pie, spread evenly. 5. 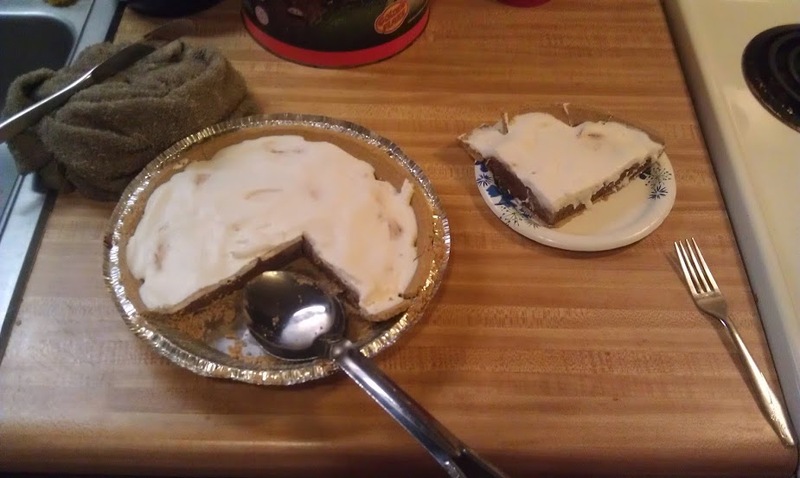 Serve right away, or for better results, put pie in fridge for 1-2 hours. There you go! 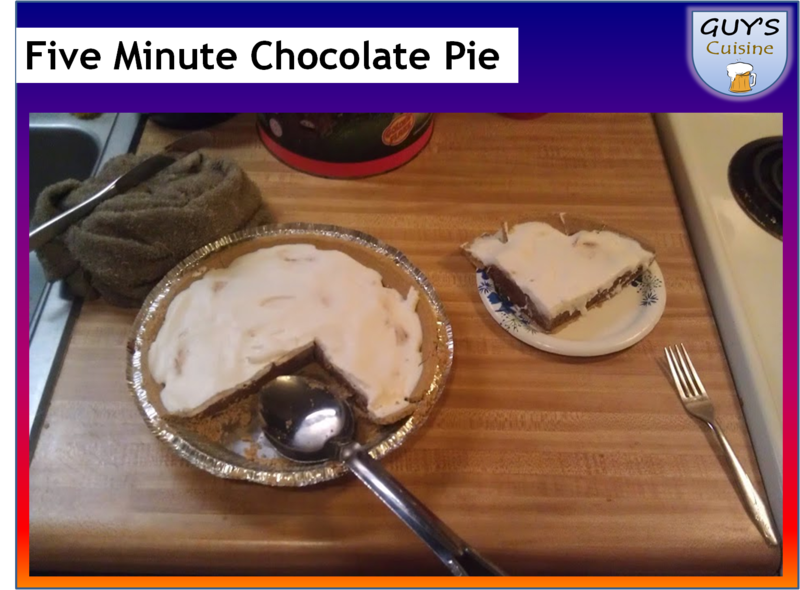 Enjoy a quick and easy chocolate pie, it was good!